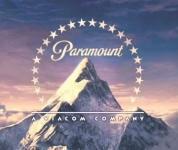 Only days after Paramount announced it would be re-issuing a select number of discontinued Blu-ray catalog titles this Spring, the studio has confirmed it is returning its entire Blu-ray back catalog to store shelves by the end of May. As we first reported last week, Paramount announced plans to re-issue eight previously-discontinued catalog titles on the format on May 20. Now there's even more good news for fans who have been unable to find past Paramount Blu-ray titles at retailer locations, as the studio will re-issue their entire Blu-ray back catalog. Word from Paramount is that the titles are identical to the original releases (even the catalog IDs and SKUs remain consistent), so expect the same tech specs, supplement details, and packaging. Paramount has not yet confirmed suggested list prices for the Blu-ray re-issues, but we'll keep you posted. To read our original reviews of all of Paramount's past Blu-ray re-issues, click on the links below.